The Alpha DAC Reference Series supports 32 kHz to 192 kHz 24-bit PCM through four input; Balanced AES, Coaxial SPDIF 1, Coaxial SPDIF 2 and Toslink Optical. Independent, single-ended and true balanced analogue outputs are provided. Dimensions are 17.5 inches Wide X 12.5 inches Deep X 3.5 inches High. More detailed information & a brochure for the Alpha DAC Reference Series will be available by the end of December, 2013. The Alpha DAC Reference Series is being publicly introduced by a full page advertisement in the January, 2014 issue of The Absolute Sound that will reach subscribers in the first half of December, 2013. 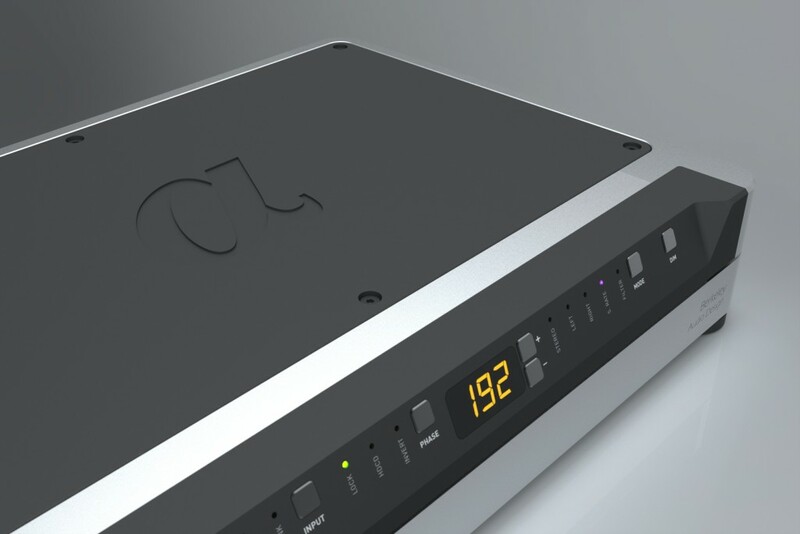 Berkeley Audio Designs hope to have units available for CES in January, 2014. As an authorized dealer, MKoM is currently accepting orders for the Alpha DAC Reference Series with delivery to clients salted for mid January, 2014. The retail price of the Alpha DAC Reference Series is $14,000.00 USD. Please note that the Alpha DAC Series 2 will continue to be available at its current pricing and now provides two SPDIF inputs. For further information, please feel free to contact MKoM directly and we shall do our best to assist.